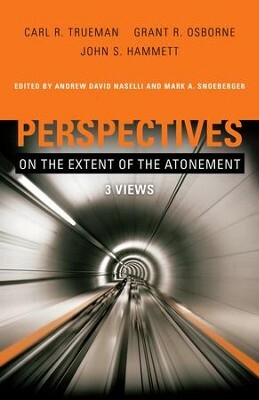 Perspectives on the Extent of the Atonement presents a point-counterpoint exchange concerning God's intention in sending Christ to die on the cross. All three contributors recognize a substitutionary element in the atoning work of Christ, but disagree over the nature and objects of that substitution. Carl Trueman (Westminster Theological Seminary) argues that Christ's atoning work secured the redemption of his elect alone. While infinite in value, Christ's death was intended for and applied strictly to those whom the Father had elected unconditionally in eternity past. John Hammett (Southeastern Baptist Theological Seminary) argues that Christ's atoning work had multiple intentions. Of these intentions two rise to the fore: (1) the intention to accomplish atonement for God's elect and (2) the intention to provide atonement for all mankind. Grant Osborne (Trinity Evangelical Divinity School) argues that Christ's atoning work provided atonement generally for all mankind. The application of that atoning work is conditioned, however, on each person's willingness to receive it. 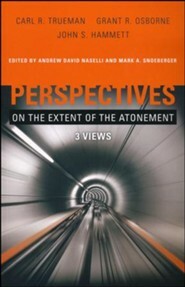 I'm the author/artist and I want to review Perspectives on the Extent of the Atonement: 3 Views - eBook.